Was perfect for a single night in Sydney! Location could not get better it is just a couple of minutes from Town Hall station. Great hostel except for location. It was right next to a construction zone and there was heavy construction all through the night, until at least 1am. We slept terribly. 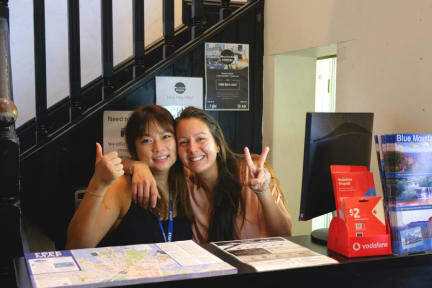 Although the staff of this hostel were great to speak and deal with, the stay at this hostel was nothing less than horrible. I am an avid backpacker and have stayed at many hostels but found The Downing hostel, especially room 203 to be nothing less than filthy. The room smelled like urine as if some one had pissed themselves and the sheets, pillow and bedsheet were absolutely dirty. We were shifted out of our room on the 3rd night but the other room as well didn't feel nor smell any great!